Furnishing a new home can be very expensive, but it's completely affordable if you take the time to research and look for deals. I know most people automatically think of Ikea when they hear "affordable furniture," but there is a world of great furniture beyond Ikea! 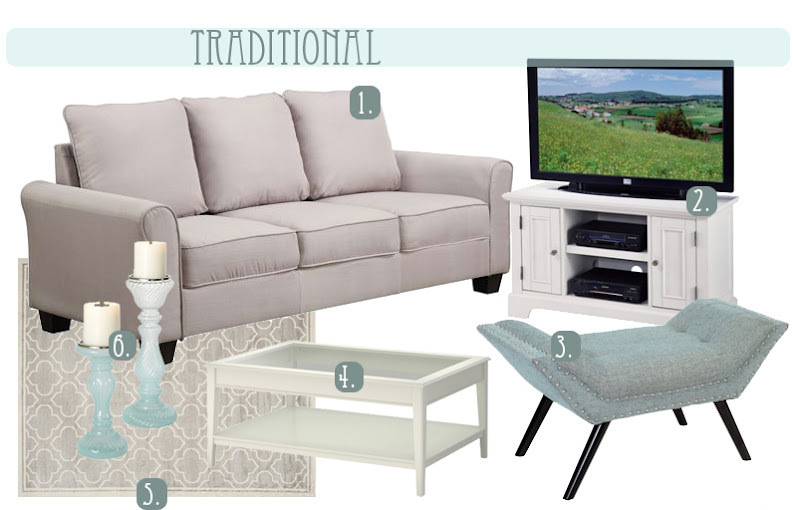 Here are three looks that I put together, all for under $1,000 which include the bare necessities such as a sofa, rug, coffee table, and media stand, plus some miscellaneous extras in each look. Also, the majority of the items in each look aren't from Ikea!! If you're interested in seeing the looks, click through the jump! 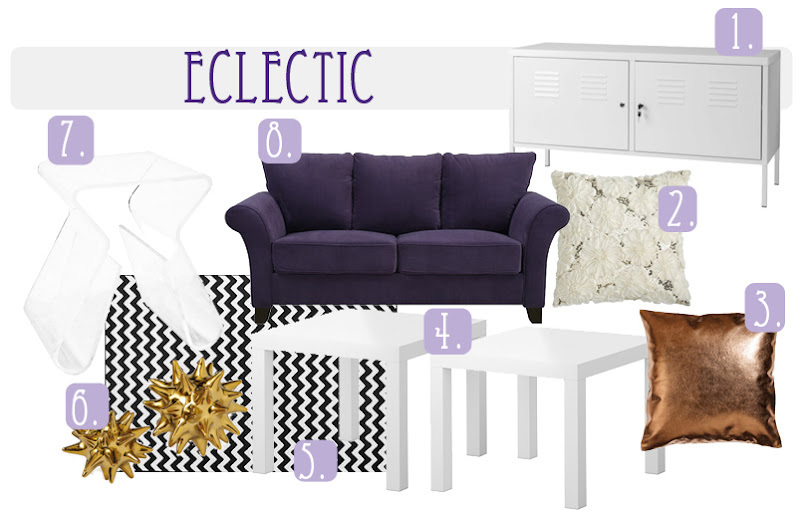 I hope you enjoyed the looks & are now convinced that it's possible to furnish a great looking living room at any style with a fairly small budget! Remember that these looks had a couple extra decor items in them, so really the bare bone items together were as low as $700-800. 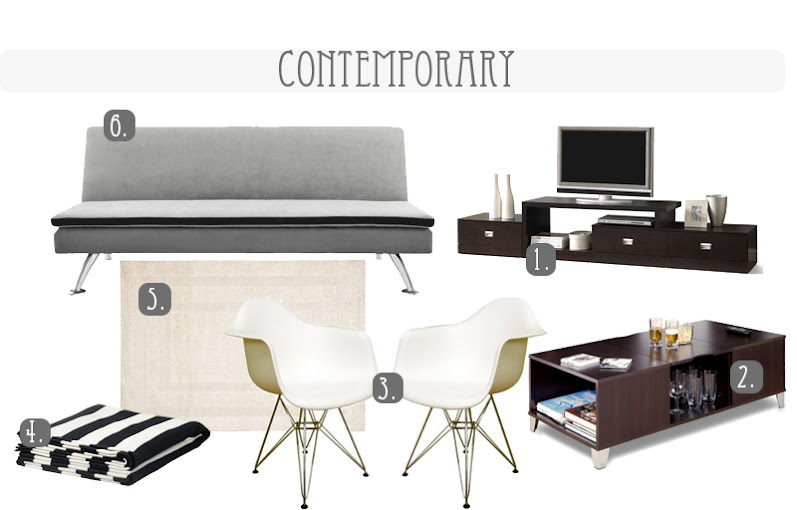 Good luck & have fun furnishing your home!